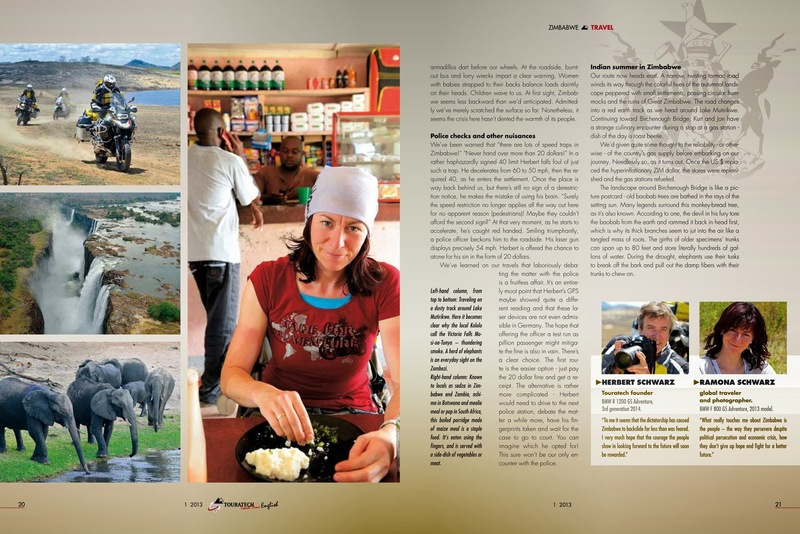 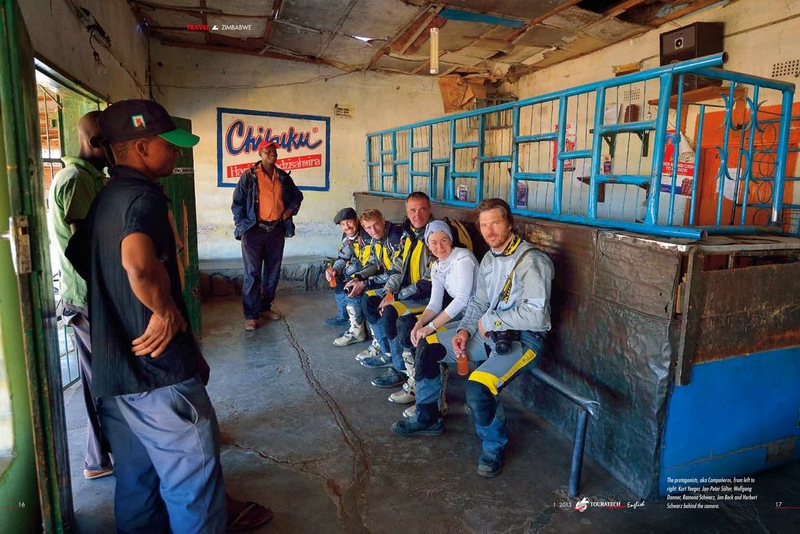 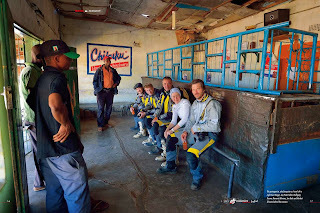 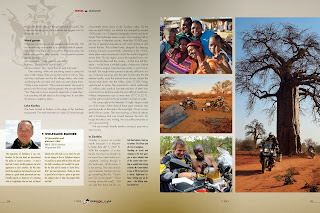 Based in Europe, Travel Time magazine is translated into five languages, and places a huge emphasis on amazing journeys, and high-quality photography. 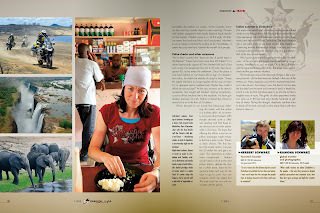 Although sometimes that simply means showing the world you're eating a bug. 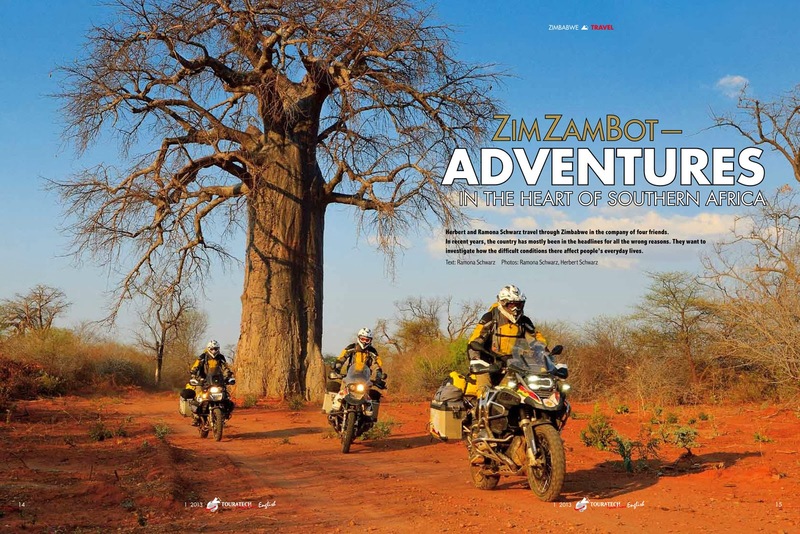 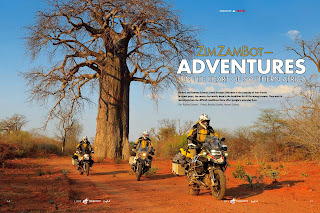 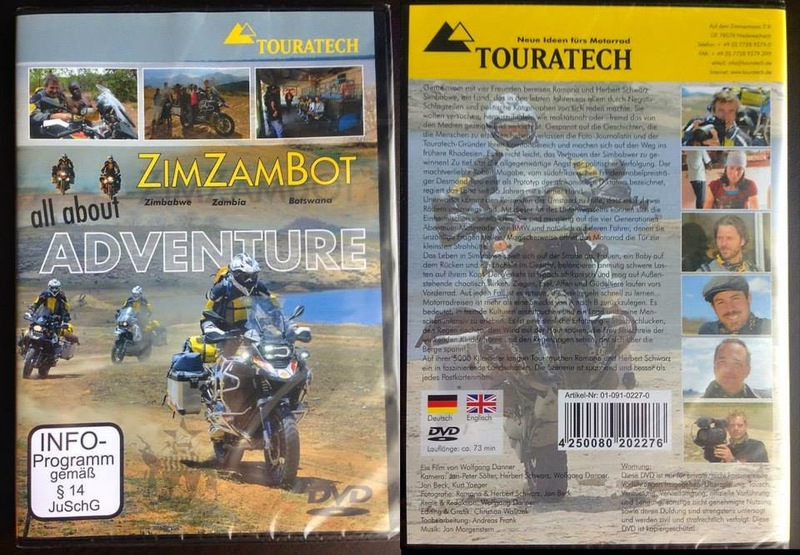 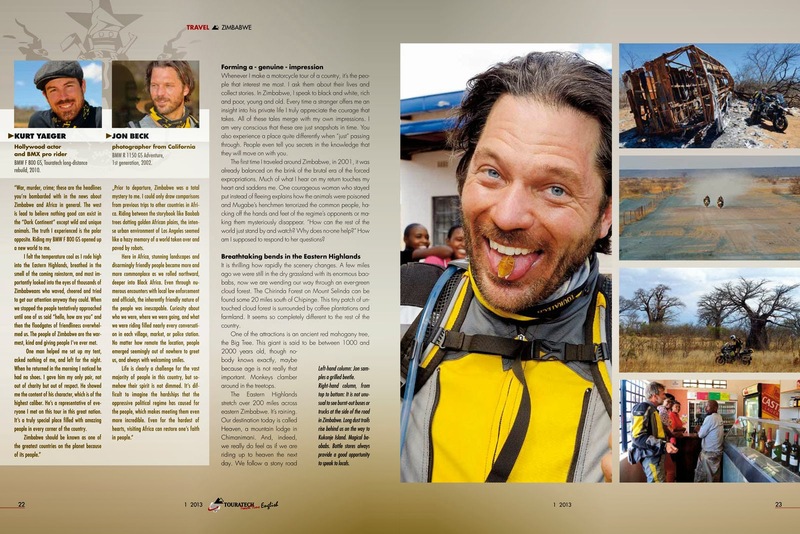 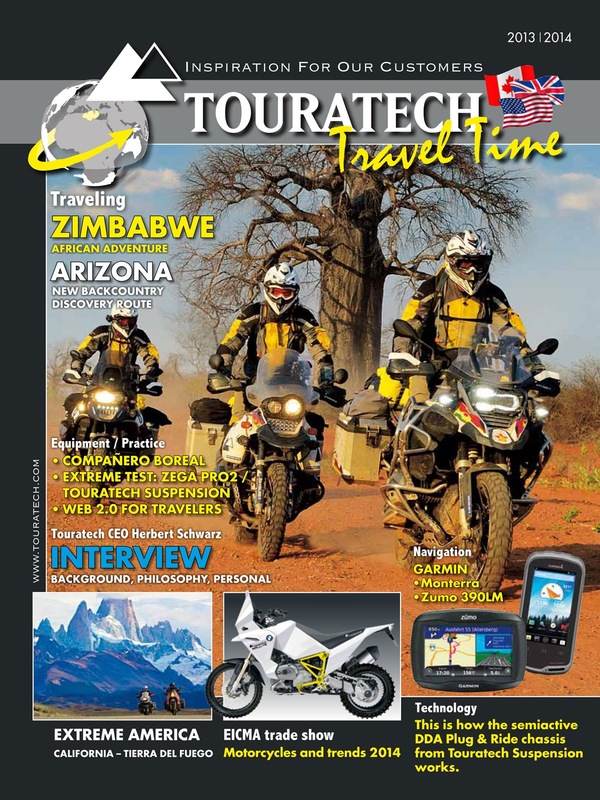 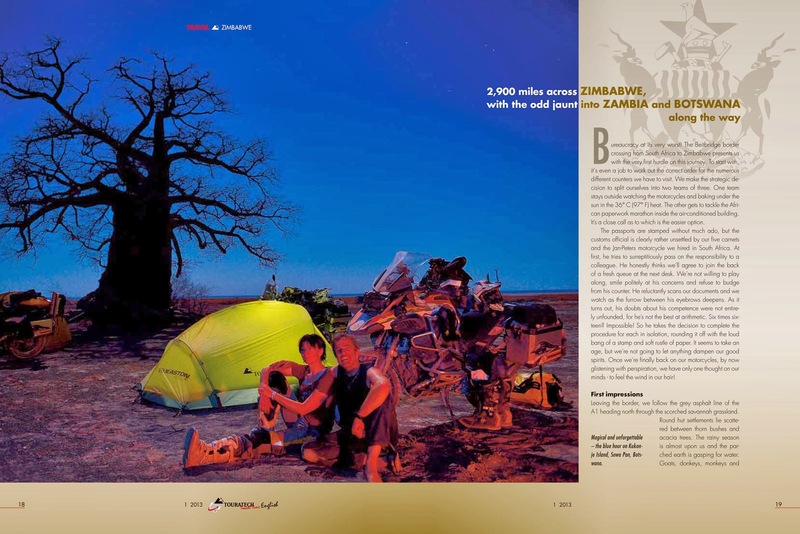 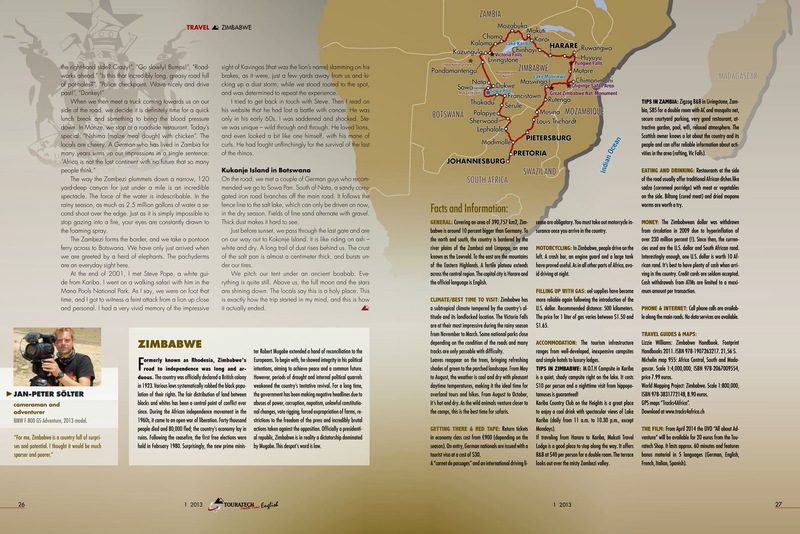 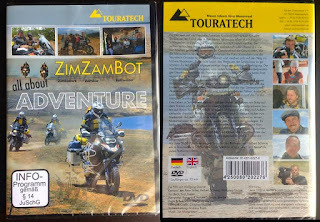 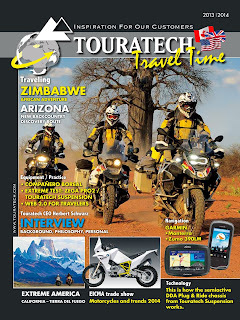 Touratech founder and CEO, Herbert Schwarz, myself, and actor Kurt Yaeger are featured on the cover riding through one of the many amazing landscapes in Zambia. 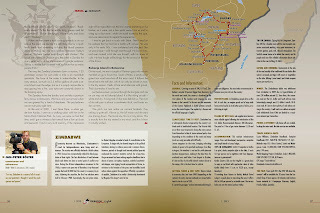 While completely unintentional, the shape of our final track through four countries ended up mimicking the outline of the continent we were exploring. 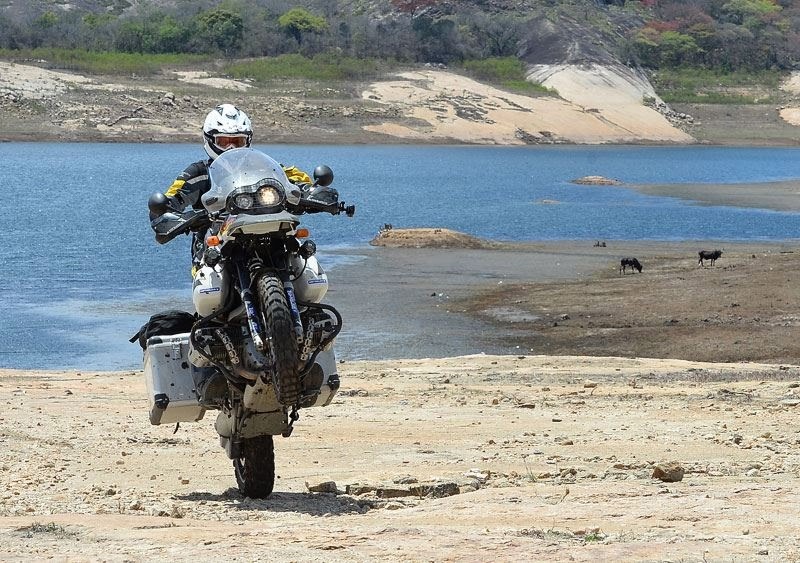 Chatted briefly with Jay Leno, photographed a ridiculous new $130k BMW, and helped stabilize a guy who gave himself an extra knee by dividing his tib/fib into at least four separate parts, from what I could tell. 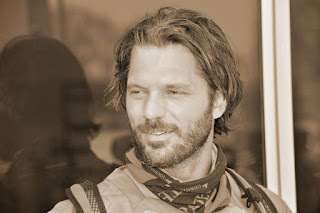 Few other things thrown in there, but that's the jist of it.